With all of the problems in the world, I know what you’ve been thinking. “I sure wish there was a new Gary Stager TED Talk to watch.” Well, your prayers to Judge Roy Moore have been answered. I told the kids that I despise all things TED and especially loathe delivering TED talks(1), but if they wanted me to participate, I would be happy to stand on the red dot and pretend to be an aspiring viral video star. Given the maturity expressed in the invitation, I hoped that my candor would lead the kids to consider reasons why some might not share their enthusiasm for TED. In an attempt to further mock the pomposity of TED, I supplied the following abstract. Any success I may have experienced is attributable to overcoming obstacles needlessly set by others and learning early on that many of the things other care deeply about, simply do not matter at all. This awesome TED talk will explore my epic quest to triumph in a world of needless prerequisites, arbitrary hierarchies, and hegemonic pathways. Caring less about the sort of compliance and schooling traditions imposed on young people may lead them to focus on finding things that bring them joy, beauty, purpose, and authentic achievement. It is often the case that the germ of my best ideas are borne of wisecracks and this topic was no exception. Spending time in highly competitive private schools where folks too readily accept bourgeois notions of what educational preparation for the “real world” truly means leaves me convinced that I chose the right topic. The very nature of this terrific student organized event required the TED Talks to be self-indulgent. That makes sharing my talk slightly uncomfortable. I took seriously the opportunity to speak directly to high school students who I hoped would benefit from an adult offering a different narrative from so many of their teachers and parents. I only wish I had the opportunity to give the talk more than once, but that’s the problem with TED Talks. TED is a TV show without any of the benefits of a television studio or taking the show on the road. I wrote the talk an hour before showtime and delivered it with no monitor or timer in front of me. I’m sure that the performance suffers, but that the message may manage to be worthwhile nonetheless. I hope you or some teenagers find it interesting. In the final analysis, I’m enormously proud of what I said. I just can’t bear to watch a second of it. (1) Remarkably, I have now delivered four completely different TED Talks. I spent months before my first TEDx Talk (Reform™) obsessing over the high-stakes chance to go viral and become famous beyond my wildest dreams. The experience made me ill. I then decided I needed to confront my fears and asked to try it again a year later. That time, I spent virtually no time preparing and convinced myself that I didn’t give a damn (We Know What To Do). The audio at the venue was problematic, but the TED experience was less soul crushing. Just when I thought TED Talks were behind me, I was invited to give a third TEDx talk at the American School of Bombay. I have worked at the school since 2004 and felt obligated to oblige. By then, I had abandoned any hope of being a YouTube sensation or being knighted by the Queen and decided to share the legacy of my friend, mentor, and hero, Seymour Papert. People seem to appreciate that talk, Seymour Papert – Inventor of Everything*. Gary Stager is returning to Australia to once again keynote the FutureSchools Conference in his adopted second hometown of Melbourne in March 2018. He will be leading a masterclass, keynote address, and a presentation on the Expo floor. 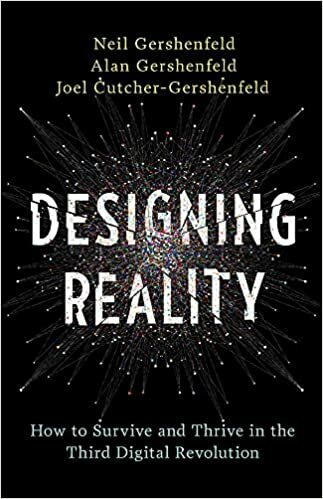 The co-author of “the bible of the maker movement in schools,” 1:1 computing pioneer, and popular speaker, Gary Stager, returns to Australia to lead a masterclass based on thirty-five years of helping teachers realize the power of learning-by-doing in their classrooms. Participants will gain benefit of the expertise Gary has developed leading “making” workshops around the world for the past four years. This work is distilled into a several rich hands-on making, coding, and engineering activities using a variety of affordable technologies that may be successfully implemented in any classroom. 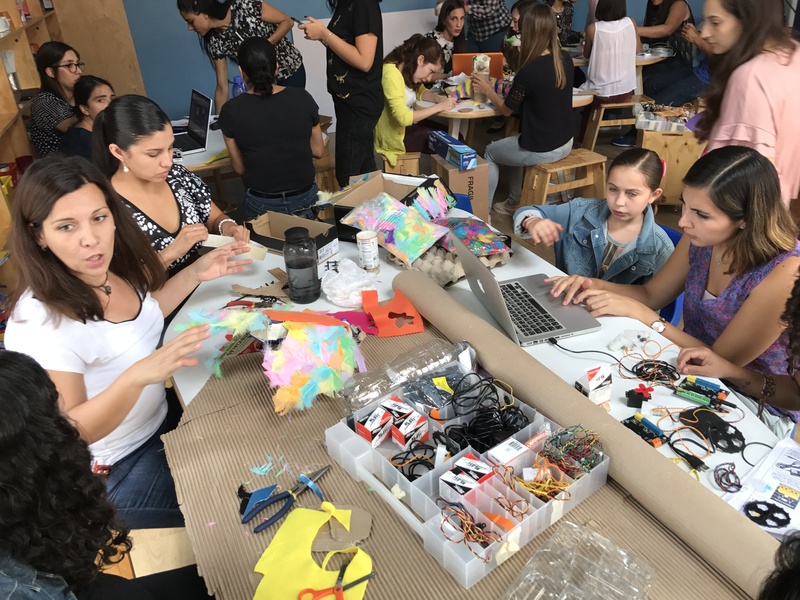 Learn to learn and teach with in the exciting world of Hummingbird robotics, littleBits, Scratch, Snap!, Turtle Art, wearable electronics, microcontrollers, digital paper craft, programmable toys, and other new materials in a project-based context. Bring a laptop and your imagination. We’ll supply the rest (craft materials, art supplies, construction elements). This workshop is suitable for all schools, grades, and subject areas. Look hard enough and you should find objectives in the Australian and state Digital Technologies curricula that may be used to support rich, relevant, and authentic project-based learning across the P-12 curriculum. Dr. Stager will help you navigate the mountain of tables, objectives, and contradictory messages so that all educators have the courage to begin realizing the power of digital technologies to learn and do what was perhaps unimaginable just a few years ago with a sense of urgency and confidence. He will define critical terms, dispel myths, and offer an expansive educational vision that builds upon the new curriculum. Ain’t it swell that school supply supplying is bigger and better than ever? I will not help teachers commit suicide by supporting these feel good attempts to turn basic public school funding into an act of charity. Each time educators normalize deprivation and substitute charity as social justice withheld, they will find themselves with fewer classroom resources. Such actions also spurn greater public school privatization and devaluing of teachers. Q: You know who should pay for school supplies? Perhaps corporations and pop stars could begin paying their fair share of taxes so that Katy Perry isn’t forced to enrich Bain Capital’s Mitt Romney’s Staples. But, but, but, but, but… teachers spend a fortune on classroom supplies that their students need. Right, I get it. I do too. I spent $1,000 the first month I taught 4th grade. That’s not the point. First of all, teachers should be able to deduct those costs off their income taxes. Second, public schools should be adequately funded. Third, teachers should stop contributing to consumerism and ask what their kids really need. Yes, I’m going there. Every time a teacher requires 4 of these, 3 of those… a specific brand of pen, or an official notebook they contribute to needless family strife and exacerbate inequality. When you require a Trapper Keeper (the Volvo of notebooks) or ban the Trapper Keeper (the three-hole punched incubus), you do not “teach organizational skills” as much as you teach compliance, reinforce prehistoric educational practices, and place a needless financial strain on your students’ families. It’s a freakin’ notebook for God’s sake. If a teacher is concerned with enforcing whether a student writes on one of both sides of a paper, or cares about the brand or color of their notebook, they should seek professional help. Parents should stop worrying about this nonsense and expect public schools to be adequately funded and stocked with necessary supples – as is required by law and practice. We are the richest nation in the history of the world. We can afford a cello and laptop for every child. It is a sin to beg for pencils.